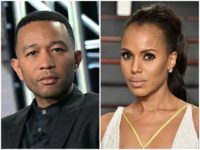 Dozens of Hollywood stars will hit the streets from Los Angeles to Boston on Saturday to protest the Trump administration’s illegal immigration enforcement. 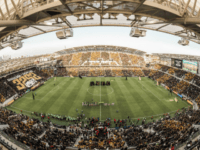 Chants of the anti-gay slur “puto,” marred the otherwise stellar debut of the Los Angeles Football Club (LAFC) on Sunday. 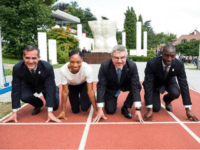 Now that Los Angeles Mayor Eric Garcetti has secured the Olympics for his city, he’s turned his attention to other sports. 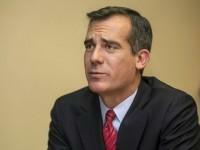 Specifically, he’s turned his attention to the two NFL teams who have moved to Los Angeles. 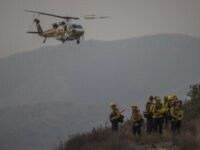 Over 1,000 firefighters are battling a the La Tuna fire, a brush fire in Sunland and Sun Valley that is being described as the largest fire in recorded history to strike Los Angeles. 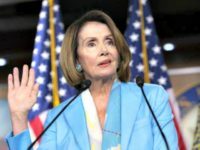 If it seemed like two of the worst mayors in the world had become the front-runners to host the 2024 Olympics, that’s because they have. 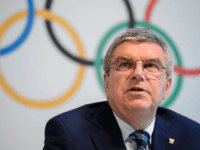 International Olympic Committee (IOC) President Thomas Bach met with President Donald Trump at the White House Thursday to discuss the Los Angeles bid to host an upcoming Summer Games. 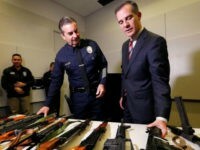 The Los Angeles Police Department’s annual gun buyback netted about 770 guns to be melted down this year, and LAPD Chief Charlie Beck reacted by suggesting the city will be safer because the guns are gone. 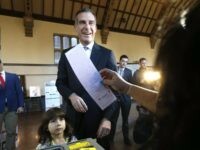 Turnout in the March 7 mayoral election in Los Angeles was not a record low after all, although it came close — and did break a record for the highest share of reelection votes won by any L.A. mayor in over a century. 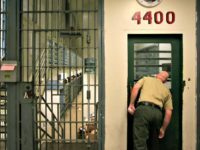 Los Angeles Mayor Eric Garcetti is asking companies that design and print college admission papers to stop inquiring about students’ criminal records. 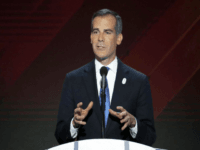 Two Los Angeles City Council members are pushing for a November ballot measure that, if voted in, would authorize a bond of at least $1 billion that would go towards housing for the city’s 47,000-person (and growing) homeless population. 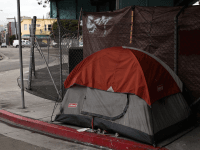 Journalists and reporters in the Bay Area are joining forces to flood news and social media with reports on San Francisco’s homelessness epidemic next month, with the hope that it will create a “wave” of coverage that will ultimately force politicians to take action to fix a problem that lurks at almost every corner of the space-starved city. 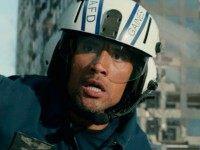 The San Andreas Fault threatens to cause tremendous physical damage to Southern California when “the big one” strikes, experts say, with the site of the infamous Coachella Music & Arts Festival being hit hardest of all. 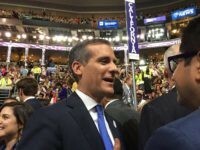 Los Angeles City Council members voted unanimously to abstain from conducting business with North Carolina because of their law mandating that patrons of public bathrooms only use ones that correspond with the gender in which they were born. 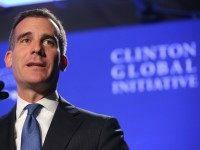 On November 6 Los Angeles Mayor Eric Garcetti apologized for endorsing Hillary Clinton for president from a LA city email account. 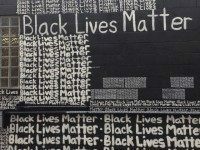 Veteran civil rights leaders in the Los Angeles area continue to criticize Black Lives Matter after the group disrupted a meeting between the black community and Mayor Eric Garcetti last month, forcing him to flee. 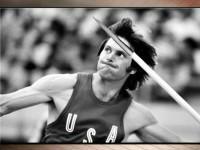 Los Angeles Mayor Eric Garcetti has nominated Bruce Jenner to light the Olympic Cauldron for the 2024 Summer games. 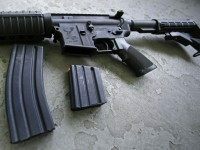 On August 7, Los Angeles Mayor Eric Garcetti signed a “high capacity” magazine ban into law, which means the city’s residents have until November 20 to dispose of the newly banned mags. 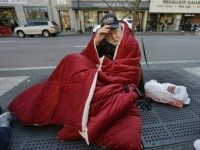 This week, Los Angeles leaders formally committed themselves to ending veteran homelessness in L.A. by October of this year.